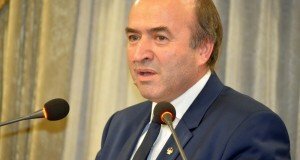 Justice Minister Tudorel Toader has answered on Wednesday to the warnings from the European Commission, saying that involvement in the justice system is not allowed, ‘no one can tell us when to open or close an investigation’. “In Romania, the Superior Council of Magistracy is the guarantor of justice independence, both to domestic and foreign influence. I express my belief that CSM meets its constitutional obligation. 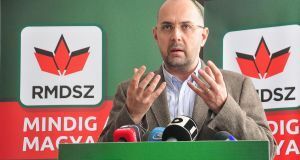 In such conditions, the political factor or other factors cannot request the opening or the closing of a criminal investigation, nor to ask for a certain solution,” Tudorel Toader said. “I believe that the Cooperation and Verification mechanism recommendation is enforceable also to its issuers. The Government did not interfere and does not interfere with the activity of criminal prosecution bodies or with the courts,” he added. The Justice Minister has launched an attack against the European officials. “Recently I notice European officials expressing concerns, but the concerns are expressed as prevention, however they have a powerful electoral potential. I have only one request: let’s know each other and respect our competences, the dignity and the national specificity.” Toader said. 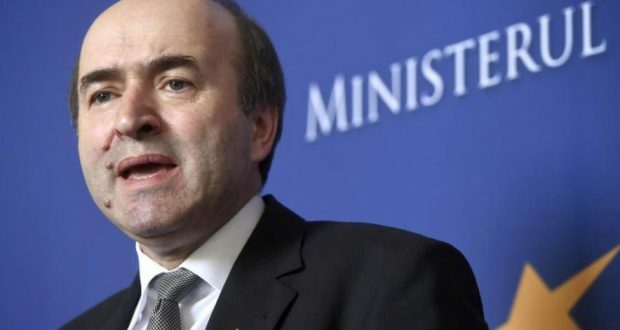 Toader’s intervention comes after the warnings expressed on Wednesday by the top European Commission officials. Also on Wednesday, former DNA chief prosecutor Laura Codruta Kovesi showed up to the High Court of Cassation and Justice (ICCJ – Supreme Court) which is to decide on the judicial control. The President of the European Commission, Jean-Claude Juncker and other EC officials have convened in Brussels on Wednesday for the College of Commissioners to debate the rule of law on Romania. “Juncker and the EU Commission need to act to safeguard the Rule of Law. College will discuss state of play on #RuleOfLaw in #Romania tomorrow. #EuranetPlusSummit2019,” announced Mina Andreeva, Deputy Chief Spokeswoman of the European Commission on Twitter Tuesday evening. At the beginning of the College meeting, the EC first vice-president Frans Timmerman s has warned the Government in Bucharest to avoid taking actions that would affect the judiciary system and would provide immunity for the top officials who had been sentenced for corruption. The EC First Vice-president said that the Romanian authorities must get back to a correct justice reform and to abstain from any measures that would lead to setback. Timmermans said he had discussed with the Romanian PM Viorica Dancila many times and that he had sent her clear messages that talk is not enough and that immediate actions must be taken. “I showed her very clearly that talking for the sake of talking is not enough and that urgent measures need to be taken as soon as possible,” the EC top official said, mentioning the technical discussions had been also resumed, covering all topics, all recommendations in the Cooperation and Verification Mechanism, the emergency ordinances, the directive on the benefit of doubt, on freezing and seizing assets and the special section to investigate magistrates. Timmermans stressed that the European Commission is ready to take action on this matter in the upcoming days, if its recommendations are not observed. “We cannot take measures against an emergency ordinance that has not yet been approved,” he added. “It’s proof of double standard the European institutions work with and represent pressure on Romanian authorities to violate the Constitution and the laws. The first institution that should react is the Superior Council of Magistracy, the guarantor of justice independence, which should tell Brussels that no administrative authority in Romania may intervene in a file under investigation or in court,” Toni Grebla said.